Ploce is the neighbourhood of Dubrovnik just east of Dubrovnik's Old Town. This is the most attractive area of Dubrovnik (beside the historical centre). Some of Dubrovnik's most exclusive hotels are located on beachfront in this area (Hotel Excelsior, Hotel Grand Villa Argentina, Hotel Villa Dubrovnik) as well as the most attractive Dubrovnik beach, Banje beach. From any part of Ploce neighbourhood you can easily reach the Old Town (5-10 minute walk). Here you will find embarkation station of Dubrovnik's cable car. There is a great choice of private accommodation (apartments, guesthouses and hostels) in this area. 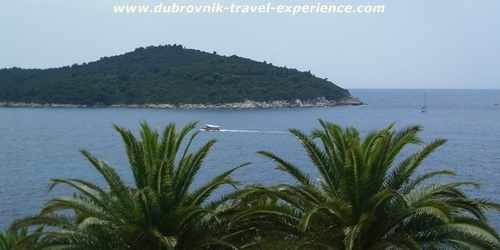 They are ideal for those who want to stay close to Dubrovnik attractions, museums, galeries, restaurants, cafes etc. Grand Villa Argentina is a 5-star hotel located in a short walk from the Old Town. The hotel offers great choice of restaurants, a private beach area and rooms with great views of the Old Town and the island of Lokrum. Hotel Excelsior is a 5-star hotel situated just a 5 minute walk from Dubrovnik's Old Town and all Dubrovnik sights. This hotel offers the finest service, private beach, both local and international cuisine and pampering spa & wellness centre. Hotel Villa Dubrovnik is a newly built exclusive hotel in the area of Dubrovnik called Sveti Jakov. Rooms of this hotel are spacious with beautiful views of the island of Lokrum and Dubrovnik. Some rooms have their own indoor or outdoor jacuzzi. FROM DUBROVNIK AIRPORT: Dubrovnik airport shuttle bus will take you to Pile Gate. From there you can either walk along the Stradun towards Ploce Gate and or take a taxi. FROM OLD TOWN: Ploce is the neighbourhood of Dubrovnik just outside Old Town's eastern gate. You can reach any part of it in 10 minutes walk from the historical centre. FROM PORT/MAIN BUS STATION: Take city bus no.8 from any city bus stop located in Gruz. FROM BABIN KUK/LAPAD: Take bus no.5 to reach this neighbourhood. The bus departs from Babin Kuk, runs through Lapad, Montovjerna and further on to Ilijina Glavica, Zagrebacka street and Petra Kresimira IV street.